#JoinUS in Panama for Yoga and Surf! Grab a drink, a book, or some breathtaking views! Vegan, Vegetarian, Dairy and Gluten Free available! Enjoy the Kayaks, SUPs, Bikes, and more! Imagine waking to the sounds of the surf while nestled in plush linens. Imagine practicing yoga in an open-air shala on the beach, eating healthy locally-sourced food, and swimming in the warm water of the Pacific. Best of all, imagine guarding baby sea turtles as they emerge from the nest ensuring they make it safely to the sea. Want to get away, practice yoga AND make a difference in the world? Bill, Kim, and Lindsey will lead twice daily yoga classes in Sansara’s stunning beachfront shala. Each morning or early afternoon, (depending on sea turtle schedule), we’ll practice a Hatha vinyasa flow focusing on body awareness, harnessing the ego and having fun. Evening brings a juicy restorative, meditative practice or Yoga Nidra to integrate the experiences of the day. Yogis of all levels are welcome! Sansara Surf and Yoga Resort is a secluded haven where the deep blue waters of the Pacific Ocean greet the lush tropical jungle: the absolute perfect location for reconnecting with nature - and reconnecting with your self. At this retreat, you’ll have ample time to enjoy the lush beauty that this tranquil and secluded corner of the world has to offer: snorkeling, stand-up paddle boarding, surfing, kayaking, hiking or may be lounging in a hammock with a good book. 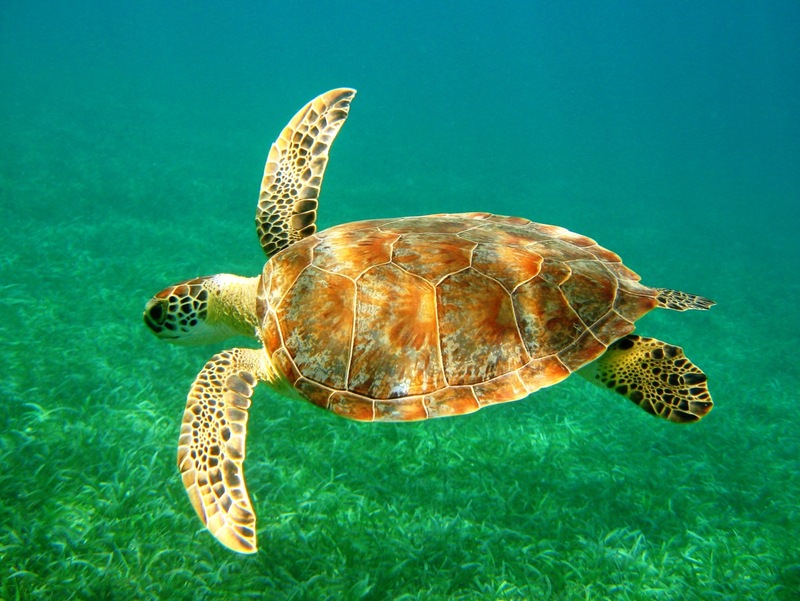 "Yoga, Surf, and Sea Turtles" will gently nudge you to get back in touch with your highest nature. Through being of service, spending time with other yogis and taking great care of YOU, you'll feel completely and thoroughly refreshed. Featuring extraordinary views of our tropical gardens, each of our 11 cabanas comes equipped with it's own private patio and is just steps away from the warm water of the Pacific Ocean. Enjoy a restful night’s sleep in a plush king, queen or twin sized bed with fine linens and five star pillows. Each private cabana is equipped with organic bath products, hot water, air-conditioning, and a mini-fridge to keep your refreshments cold. Whether you envision spending your days practicing yoga, surfing at sunset, eating the most delicious cuisine, lazing in a hammock or sipping cocktails around our natural salt water pool, Sansara has all areas covered. Vegan, Vegetarian, Gluten-free? No Problem! Ask your retreat host. Hotel in Casco Viejo the evening of arrival (Sansara recommends staying in Casco Viejo to ensure that guests can take advantage of the complimentary transportation to the resort. We recommend to all guests to fly into Panama at least 1 day prior to the retreat start date, ensuring your space on the complimentary shuttle from Panama City to Sansara on the morning of your retreat’s first scheduled day. You will fly to Panama City (PTY) for this retreat, and from there we will travel to Sansara together via private shuttle (included in your retreat price).You can also take a redeye and arrive early on the first day (no later than 7:00 am). A shuttle will take us back to Panama City on the final day. Plan to depart that evening (no earlier than 6:00 pm) or stay a night in the city and leave the following morning. A Non-Refundable Deposit of $650 is requested to secure your retreat. Full payment is due 45 days prior to the start of the retreat.